It is with deep sadness that our family announces the passing of our beloved husband, father, Papa, father-in-love, uncle and brother. He leaves behind his loving wife, Marsha, sons Greg and wife Kellee, son Brandon and wife Tonja, and son Westly and wife Nanneth, as well as 10 grandchildren, that loved him so much. Emmanuel “Manny” was born in Manila, Philippines, to Pio and Betty Arca. He and his parents, migrated to the United States when he was six years old with his siblings, Virgil, Victor, Ramee, Laney, Shirley, Evangeline, and Gloria. They lived in San Mateo, CA. Manny graduated from Washington High School in Fremont, in 1967. He started his military career in the Army, January of 1968. While serving his country, he fought in the Vietnam War. He was also a recipient of various medals, significantly the Purple Heart medal. In the Army, he was a staff sergeant in the 11th ACR Veteran (Armored Calvary Regiment) and drove tanks. He became honorably discharged due to being severely wounded and burned in combat. Shortly thereafter, he met the love of his life, Marsha Lisa Evangelista and they were married on October 24, 1971 in Carson City, NV. They started their life in San Mateo and Manny became a postal carrier. Living there, they had their first son, Greg in 1972. Then they bought their first home in Cupertino, CA in 1974. During their residency there, their son Brandon was born in 1974. They moved to Fremont in 1976, where their third son, Westly was born in 1977. The later years included Newark, CA and last resided in Hayward. During his time working as a Postal Carrier, he enjoyed his job and the people he worked with very much. 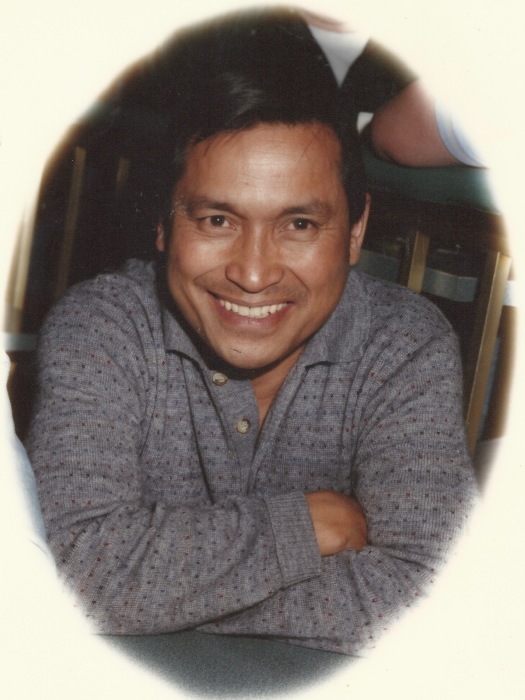 Manny loved to go fishing, play basketball, and was a keen poker player. He loved his poker. Manny also loved to barbeque with the most important ingredient – LOVE. He loved to cook and would always say, “Well you have to cook with Loooooove!” His famous saying was, “I love you MAN!” with a big smile. 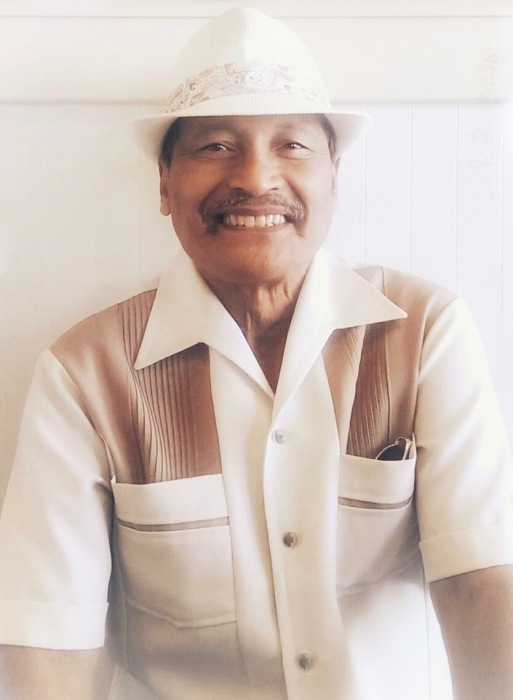 Manny had a magnetic personality that people were drawn to and brought laughter everywhere he went, whether it was to someone he just met or knew for a long period time. Everyone he encountered immediately loved him. He was a father to the fatherless and a mentor to others. He loved God with all of his heart and believed in prayer first over everything. He was a great provider and loving husband, an amazing father, Uncle, Papa, and friend. He really loved his grandchildren. No matter what challenges came his way, Manny managed to conquer and overcome many of them. He was a strong man. His family loves him and will miss him so very much but knows that he is in a better place and has no more pain. He is home with God. He served his country with pride and honor and his family is very proud of him. There will be a Memorial Service, followed by a reception for family and friends, Monday, July 2nd, at 1:00 PM. The Memorial Service and reception will be held at Century House and Gardens 3447 Fremont Blvd. Fremont, CA 94566. As per his wish, he will be placed to rest at the Sacramento Valley National Cemetery in Dixon, California on July 3rd, at 2:30 PM. He will be honored with Full Military Honors. After the service family and friends will gather at a restaurant in Fairfield, Hometown Buffet, 1315 Gateway Blvd. Fairfield, CA 94533 His family would like to thank all his SF Veterans Hospital doctors, his caregivers, and the support of his family and friends.